Some viewers may not have been able to relate to Damien Chazelle’s Oscar-winning 2014 drama Whiplash simply because it revolves around jazz, a genre that has no relevance to their lives outside of Peanuts specials. “Whiplashup,” an EDM-style remix of the film, neatly solves that problem by converting the movie’s music to dance-floor-ready pop. The high-energy, three-minute video is a collaboration between Eclectic Method’s Johnny Wilson and 16-year-old wunderkind Genranon, both Brits. The video’s description on YouTube sums it up as “totally disrespectful to jazz as a whole but totally in keeping with the yelling rage of band leader Terence Fletcher.” The effect of watching the glitchy, uptempo remix is sort of like watching Whiplash while being attacked by a coked-up woodpecker. In other words, it’s a lot of fun. 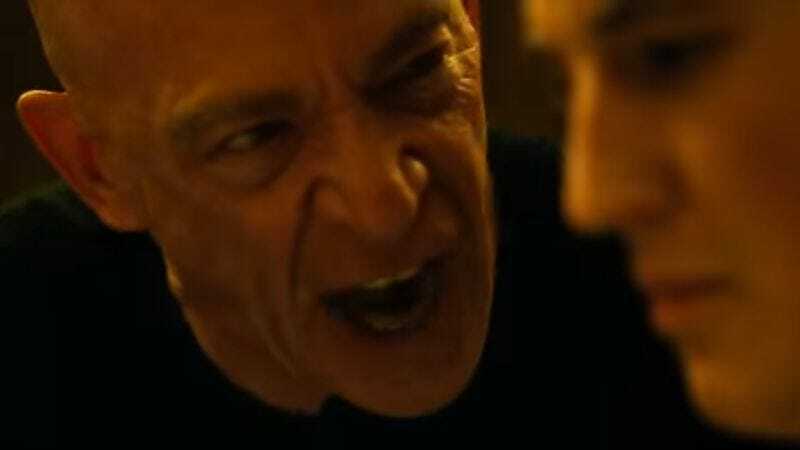 “Are you a rusher or are you a dragger?” That’s the pointed, tempo-related question that J.K. Simmons’ perfection-obsessed instructor Fletcher poses to eager-to-make-good student Andrew (Miles Teller) in the original film. It turns up in “Whiplashup” as an incantation of sorts, but because the remix’s beat is thoroughly and ruthlessly preprogrammed, the song neither rushes nor drags. It cannot. Unless it’s malfunctioning in some way, a drum machine will always play the exact perfect tempo every time. No mistakes. That’s the irony of something like “Whiplashup.” The original movie was largely about the world of actual human drummers, a species that artists like Eclectic Method and Genranon are helping to make obsolete.